This pack of nail stickers contain 26 stickers. 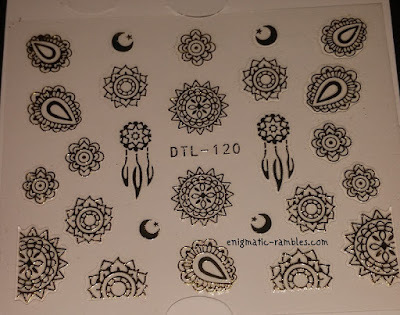 These particular ones have a mandala patterns, dream catchers, moons and teardrop designs. 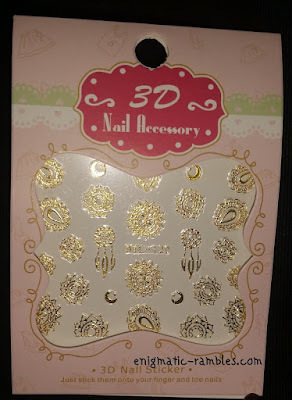 These stickers are thin and flexible which means they really bend with the curve of the nail and so it doesn't matter how strong of a C curve you have to your nails. They are also very sticky and stick well to the nail. 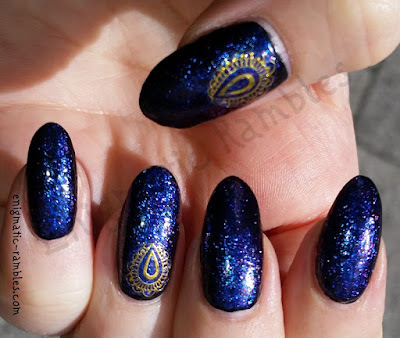 You could wear these without a topcoat but I found myself using one to seal the sticker in. But they don't stick up so you don't necessarily have to.